Cancer affects nearly every family in the world and leaves them saddened in its wake. On February 4, World Cancer Day is observed to create awareness and encourage cancer prevention, detection and treatments. World Cancer Day is recognized around the world by holding festivals, walks, seminars, public information campaigns and other events to raise awareness and educate people on how to fight cancer through healthy eating and physical activity, screening and early detection of cancer, by quitting smoking, and by urging public officials to make cancer issues a priority. In recognition of this important cause, we have chosen to support the Childrens Cancer Foundation with their fundraising efforts throughout the month of February. This year will mark the start of a new 3-year campaign theme “I Am and I Will” and its focus is on individuals taking action now to improve the quality of life of the people living with cancer and increase their chances of survival. Last year, on World Cancer Day, the World Health Organization highlighted that cancer no longer needs to be a death sentence and that every country can do more to prevent and treat cancer. Many organizations are working to prevent cancer and help cancer patients including the Children’s Cancer Foundation. The Children’s Cancer Foundation was established in 1992 by parents who wanted to enable children with cancer to access the world’s best treatment and care. Parents sign up for so many things when they have a child. Their journey is exhilarating, full of happiness and pride, and at the same time it is tiring and worrying. Unfortunately, for some families it becomes far more demanding and challenging. As a parent, having a child diagnosed with cancer pushes them to their limit. They will go to any lengths to see their child healthy and well. The Children’s Cancer Foundation was founded by parents who wanted to save their children’s childhood. They wanted to see their children happy and healthy, playing and having the time of their life. The Childrens Cancer Foundation aims to enable children with cancer to access the world’s best treatment and support and to build awareness of childhood cancer in the community and within governments. The Children’s Cancer Foundation supports families through treatment, partners with hospitals to deliver clinical excellence and builds world-class pediatric cancer clinical research. An estimated 900 Australian children will be diagnosed with cancer this year and one in 5 children will die according to statistics. Childhood cancer is a disease that impacts the family for life and it is important to not only support the family during treatment but to invest in clinical research for those that follow. The survival rates from childhood cancers have improved to 83%. However, medical research still has a long way to go in determining the multiple factors that cause cancer. The Childrens Cancer Foundation is trying to find the best ways to treat, cure and ultimately prevent cancer from occurring. We all have the power to reduce the impact and the burden of cancer for ourselves, the people we love and for the world. Supporting the efforts of organisations such as the Childrens Cancer Foundation in their fight against cancer brings us closer to the goal of a cancer free world. 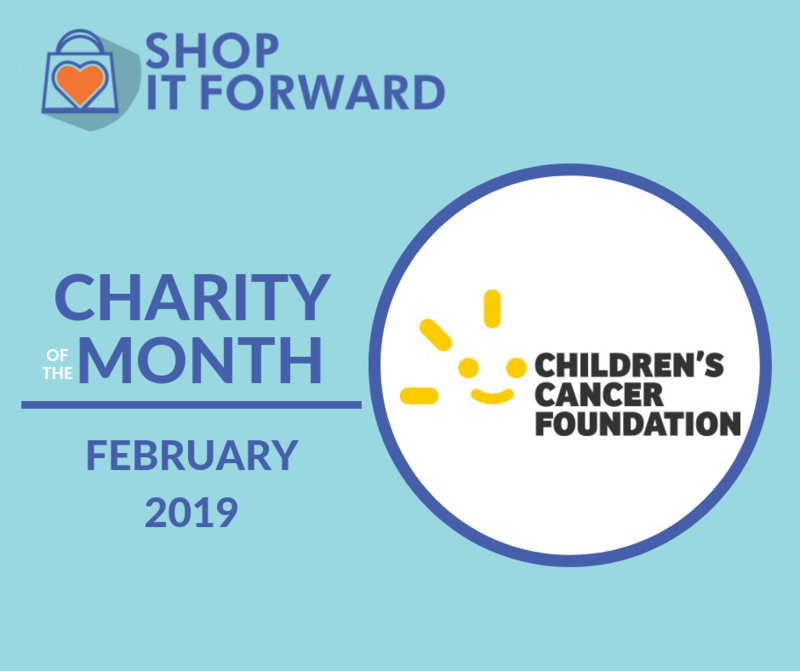 Start raising money today to bring an end the childhood cancer by Shopping it Forward. It costs you nothing to give back. 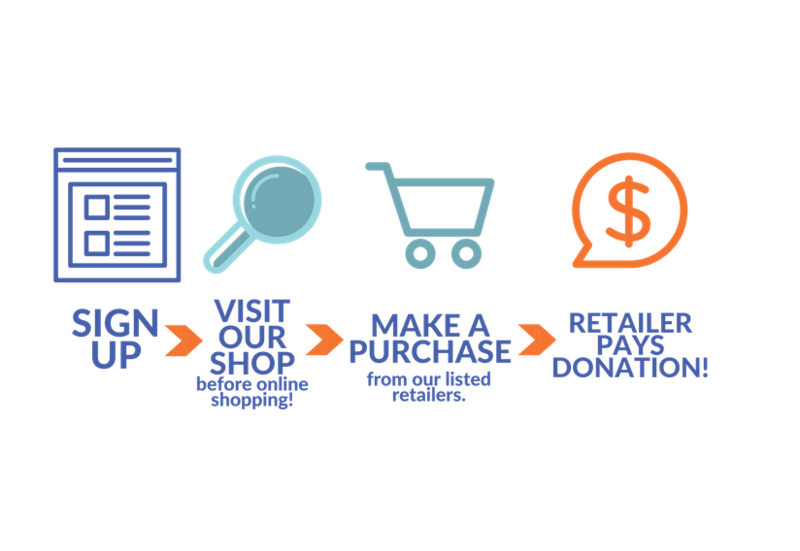 Learn more and start raising funds from everyday online purchases for free.